Joshua Allan Eads spent his childhood in theaters, playing make believe in his small, religious community in Orlando, Florida. A self-proclaimed "chubby Southern Baptist kid" who preferred to play female roles, Eads didn't fit in and yearned for acceptance. He found a semblance of it when he discovered drag legend, Divine. "All I had when I was growing up was Divine. If I can be that for someone, then my job is done," Eads said. Now, as drag queen Ginger Minj, Eads has the opportunity. 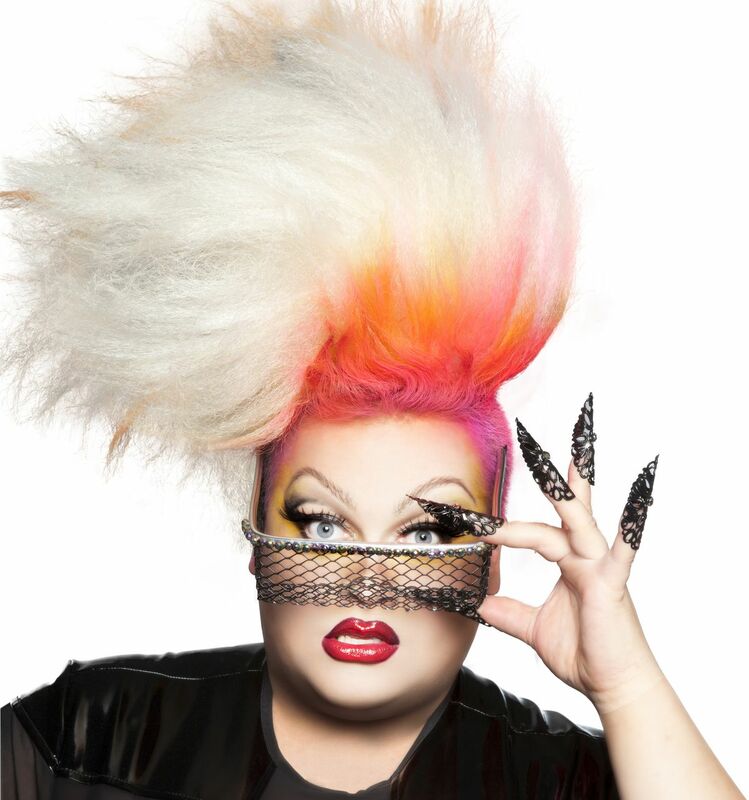 On Saturday, Eads will transform into Ginger Minj as part of Anchorage's PrideFest 2018. Ginger Minj burst onto the national scene in 2015 as a contestant on Season 7 of Logo TV's (now VH1's) "RuPaul's Drag Race." The show, similar in format to VH1's "America's Next Top Model," pits 14 up-and-coming drag performers against each other in a competition for a cash prize, a year-long supply of cosmetics, and above all, the title of "America's Next Drag Superstar." Over the course of nine years, "Drag Race" has amassed a cult following. Celebrity guests like Lady Gaga and Demi Lovato often frequent the judge's table, and a number of former contestants have released best-selling films, TV shows and albums. Gay bars nationwide (including local Mad Myrna's) host watch-parties of the show. "My entire life changed overnight," Minj said. After placing in the top three in Season 7, Ginger Minj became a household name on the drag scene. Minj competed in Season 2 of "Drag Race" spin-off "All Stars," booked multiple shows across America, Asia, Australia and more, recorded two studio albums and has recently wrapped production on "Dumplin'," an upcoming coming-of-age feature film that stars Jennifer Aniston. Coming to Alaska for the first time, Minj is excited to expand her global takeover to the Last Frontier. "The fan response to coming to Alaska has been such an incredible outpouring of love and support," Minj said. Performing her autobiographical show titled "Crossdresser for Christ: the Musical," Ginger hopes the audience will laugh, cry and empathize with her story. Set up as books from the Bible, the musical condenses Ginger's life into a single, jam-packed hour. The show is different than what most people expect, Minj said, and isn't just "jokes, lip-syncing and 'Drag Race' dish: but something much more than that." Accompanied by best friend, assistant and backup singer Janine Klein and pianist William Demaniow, Minj brings her all to this "relig-ish experience" with flawless makeup and a towering wig, sparkling costumes, audience interaction, original music, dance sequences and more. "I want to throw everything against the wall and see what sticks." Where: Williwaw Social, 609 F St.
For tickets, go to eventbrite.com.